Although Gustav Klimt was Egon Schiele's senior by almost 30 years, he quickly recognized and encouraged the younger artist's extraordinary talent, and they remained mutually admiring colleagues until the shared year of their deaths, in 1918. The 60 important drawings exquisitely reproduced in this large-format volume reach from each artist's early academic studies to more incisive and unconventional explorations of nature, psychology, sexuality and spirituality. Striking and provocative even today, these works led both artists into controversy (and even a brief imprisonment for Schiele) during their creators' lifetimes. Klimt advised, "Whoever wants to know something about me as an artist ought to look carefully at my pictures and try to recognize in them what I am and what I want." 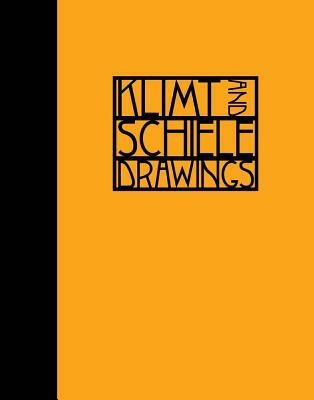 This album of unforgettable drawings from the collection of the Albertina Museum, Vienna, provides a direct connection to the minds of two master draftsmen exploring the limits of representation, as well as the shock of recognition at seeing our own inner selves caught on paper. Gustav Klimt (1862-1918) and Egon Schiele (1890-1918) were two of the most daring and controversial artists in Vienna during the culturally turbulent decades around the turn of the 20th century. They worked out their provocative depictions of the human body, created in a search for psychological truth as well as physical realism, in the direct and intimate medium of drawing. In Klimt's studies, the distinctive character or unsettling emotional resonance of the person portrayed comes through in the artist's delicate, sinuous lines. The striking presence of the individual in Schiele's more finished drawings, often rendered with extreme frankness and bold coloration, pulses with dramatic immediacy.